Return to your Darwin Hostel Accommodation at 5:00pm and stay 1 night in a 6 share dorm room. Pick-up from the hostel at 9.00am and return at 5.00pm. Enjoy listening to some Top End tales as we make our way out to the beautiful Corroboree Billabong for a magnificent cruise on these pristine wetlands. The wetlands are approximately a 90 minute drive from Darwin (105km) and en-route to the cruise we make a stop at Window on the Wetlands information centre and Fogg Dam Nature Reserve. 7:00am Daily Pickup from your Darwin Accommodation on Day 1. 9:00am Daily Pickup from your Darwin Accommodation on Day 2. How to get to the Top End - Darwin? Greyhound Bus - We offer a Greyhound bus from Alice Springs to Darwin from $195 one way which goes daily at 7pm from outside The Rock Tour office, for more information email us on info@therocktour.com.au for details. Terms: When you arrive into Darwin please call Litchfield Day Tours on Freecall 1800 813 269 the day before to confirm your tour. Please also call Wetland Cruises on (08) 89 855 855 to confirm the tour and pick up times. 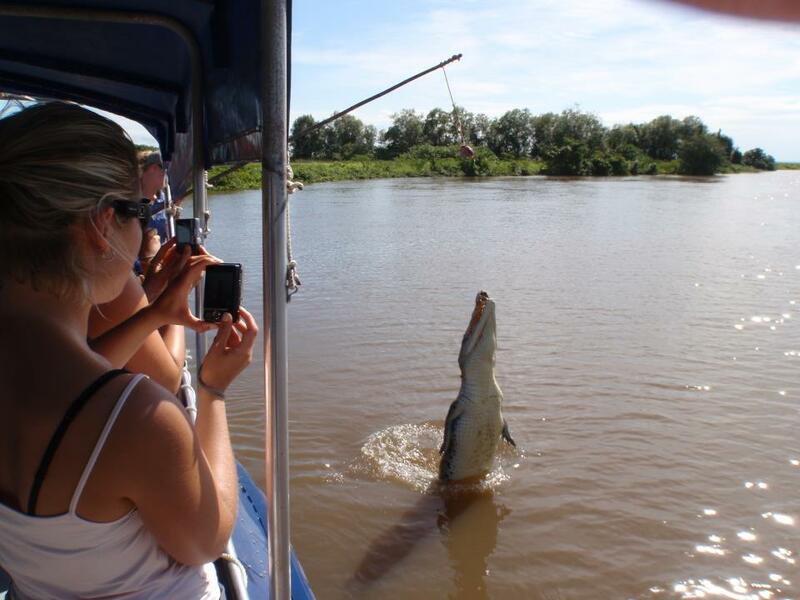 Cancellation Policy: The 1 day Litchfield Tour and the 1 day Wetland Cruises are run by two local Darwin companies. Third Party Cancellation fees differ from that of The Rock Tours. Please contact chosen company for more details regarding their cancellation fees.